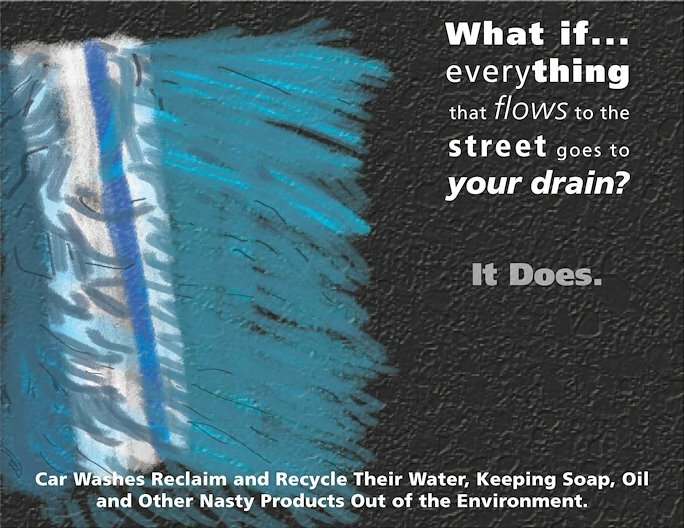 I’ve worked in a car wash for years, and what most people don’t know is that washing your car in a car wash is better for the environment than washing your car on your driveway. 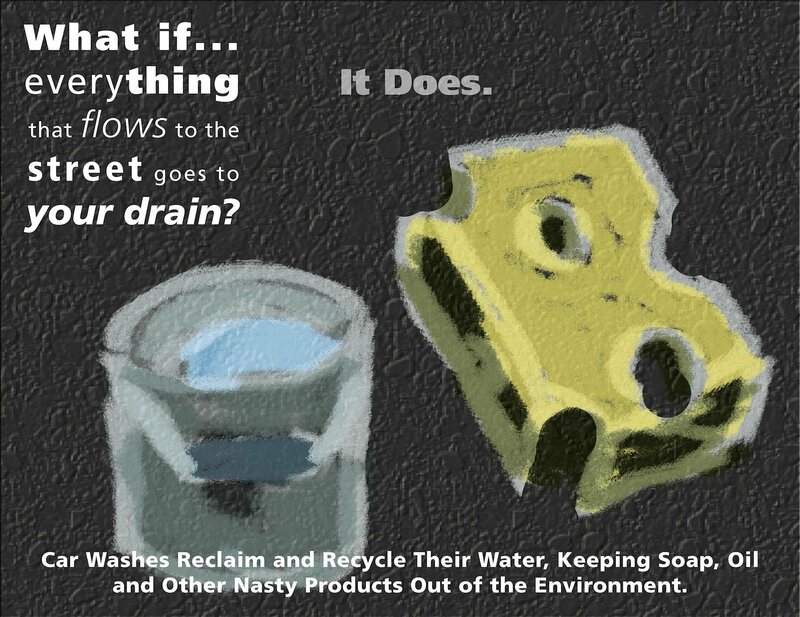 Car Washes reclaim their water, and have systems to break down all the oil and grease that come off your car before getting reintroduced into the water system so none of that gross stuff accidentally gets back into our water. 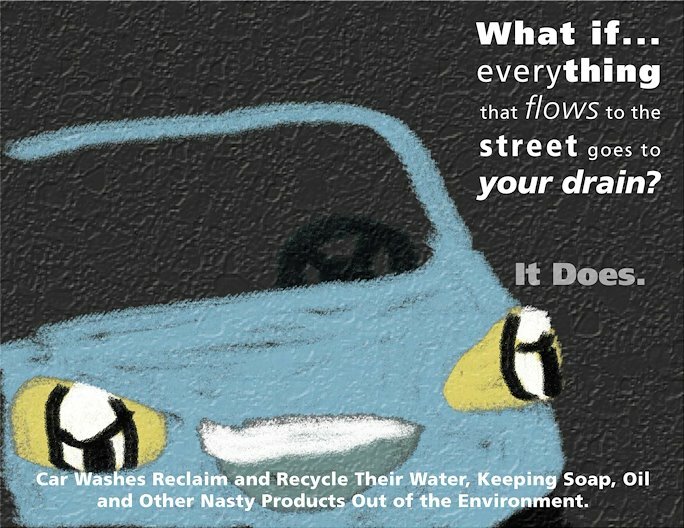 This was a project I started and need to finalize to encourage people not to wash their car at home.